AEI Services – Erosion control, tree clearing, earth moving, storm sewers, sanitary sewers, off-site sanitary sewers, waterline, electric line, and re-spread of topsoil. 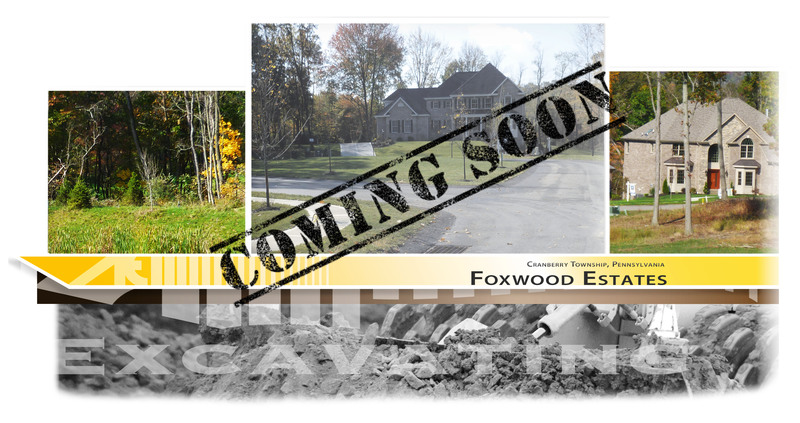 Summary – Foxwood Estates is a new residential development for high-end homes in Cranberry Township. The development will allow 15 separate lots ranging from a half acre to one acre parcels. Additional photos and content forthcoming, please check back!